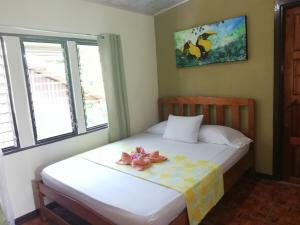 ﻿ Book Corcovado Wild Hostel (Puerto Jimenez) - 2019 PRICES FROM A$15! 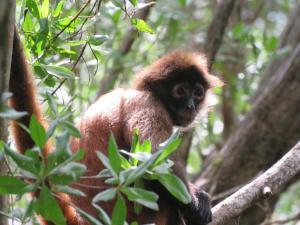 Located in Puerto, Corcovado Wild Hostel features air-conditioned rooms and free private parking. Guests can relax at the hammocks. Some rooms have air conditioning and all rooms have a private bathroom. Some units feature a seating area for your convenience and a balcony or patio. Corcovado Wild Hostel features free WiFi . Private tours can be arranged for you at the front desk. There is also a shared equipped kitchen. A selection of activities are offered in the area, such as horse riding and snorkeling and surfing. Please note that front desk is open from 6 am to 10 pm. Check in is at 10:00 and check out at 12:00. Payment upon arrival by cash (USD and local currency). Please inform Corcovado Wild Hostel of your expected arrival time in advance. You can use the Special Requests box when booking, or contact the property directly using the contact details in your confirmation.